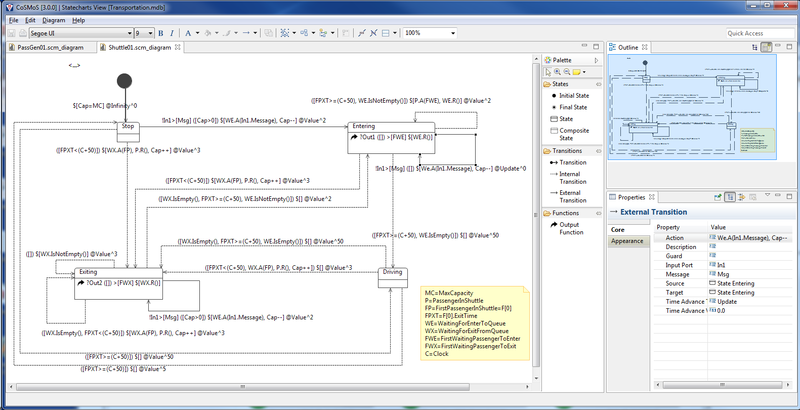 CoSMoS (Component-based System Modeling and Simulation) [https://sourceforge.net/projects/cosmosim/] is a visual modeling engine; the DEVS-Suite simulator 2.1.0 is integrated into CoSMoS 2.1.0 and 3.0.0. Both versions of CoSMoS support managed, standalone creation of families of component-based models including parallel DEVS, Cellular Automata (CA), and XML Schema models. As an integrated modeling and simulation environment, CoSMoS supports configuring input/output data monitoring and visualization for every model component. Logical specifications of models and their elements are stored in (MS Access) relational database. Code automatically generated from model components are systematically managed without any involvement by user. While full Java code for the DEVS-Suite simulator is automatically generated for instances of coupled DEVS models, at the present only partial code generation is supported for atomic parallel DEVS models. Once implementation of the atomic models are completed using a built-in editor, coupled models can be executed using the DEVS-Suite simulator. CoSMoS 3.0.0 supports modeling behavior of atomic DEVS models based on Statecharts. Behavioral modeling is developed using Graphical Modeling Framework (GMF) and then integrated with CoSMoS 2.1.0, resulting in CoSMoS 3.0.0. CoSMoS replaces SESM (Scalable Entity Structure Modeler). It introduces new concepts and richer capabilities as compared with SESM and Collaborative DEVS modeling. 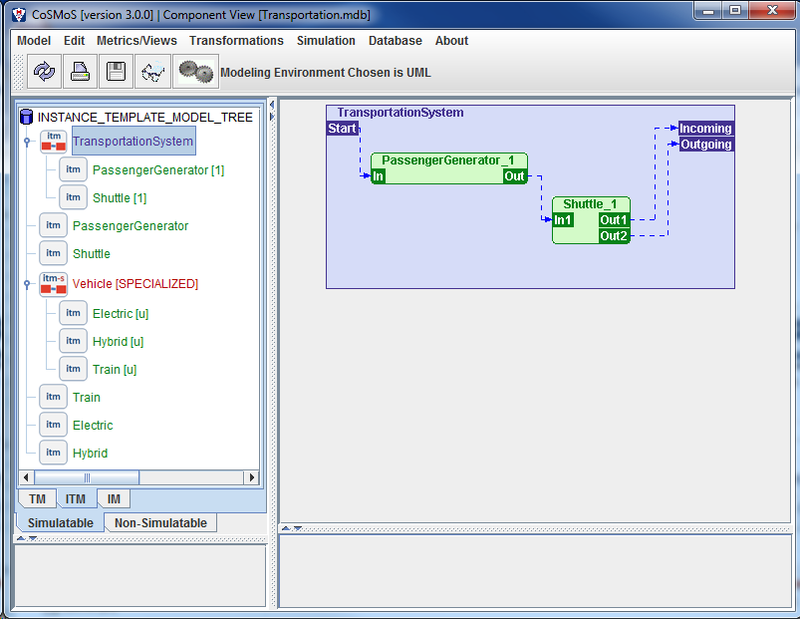 Since the DEVS-Suite simulator is part of the CoSMoS both modeling and simulation of Parallel DEVS models are supported. Windows 64-bit is unavailable due to use of RCP and plugins. Mac and Linux versions are unavailable due to lack of support for the MS Access Database and Eclipse RCP. SESM Demonstration (video file) [9.5 minutes] [20.9 MB], (zipped video file) [9.5 minutes] [4.5 MB].